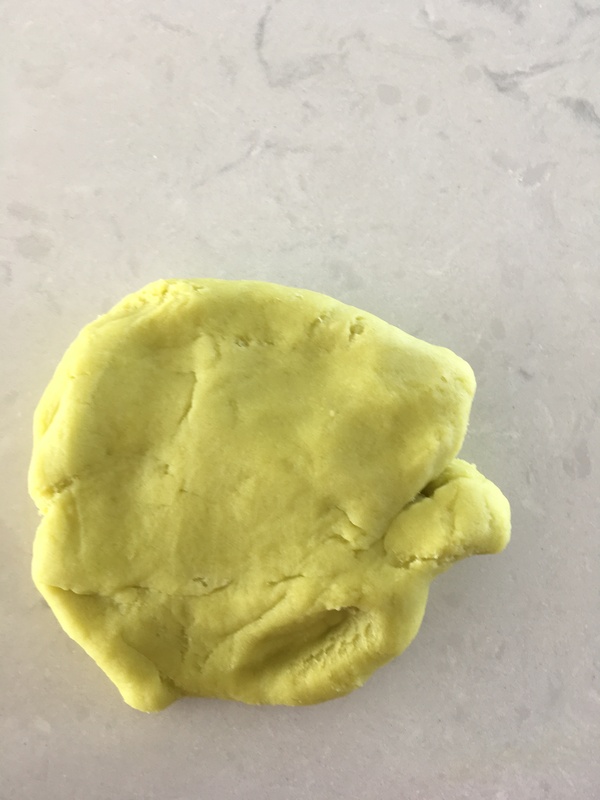 Making a batch of play dough with my kids is one of my favorite things. 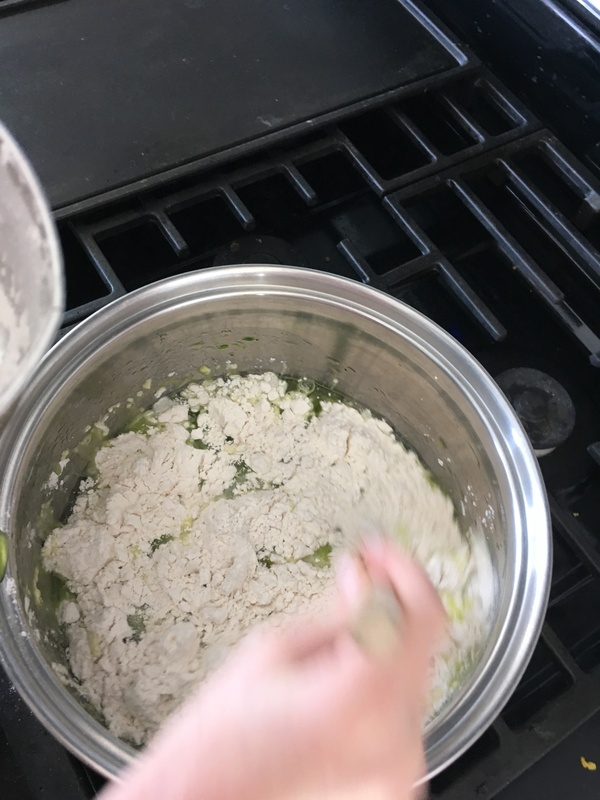 It is a quick, and easy activity and the kids love getting to help make it. 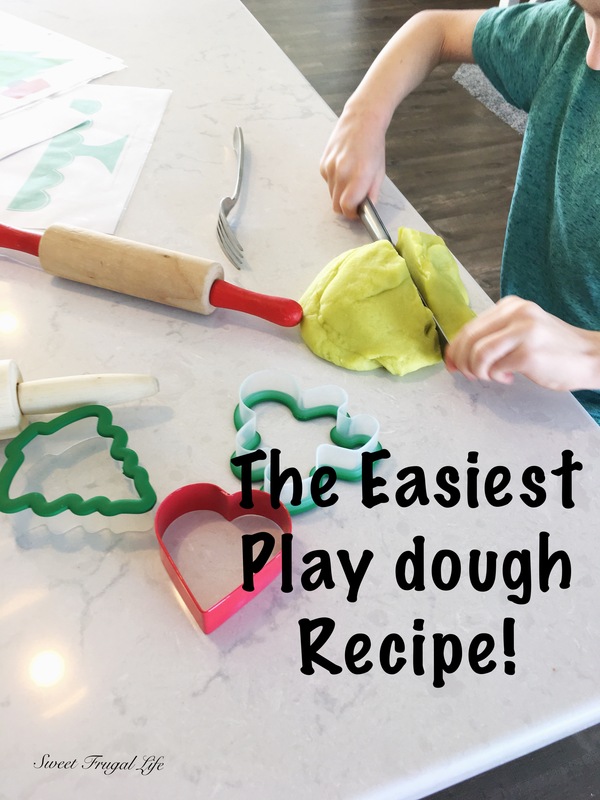 Sometimes we will make this more “traditional” play dough recipe, and other times we make Peanut Butter Play Dough (another fun fave!). 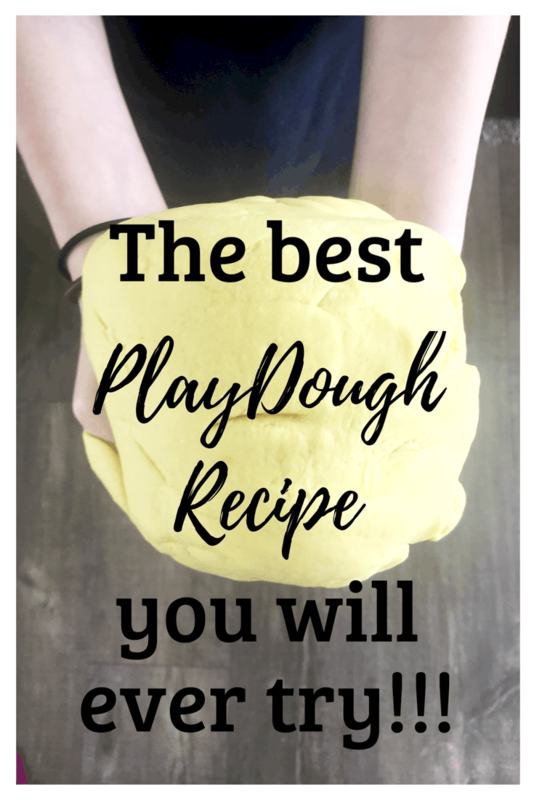 I have tried a lot of play dough recipes over the years, and I mean A LOT! 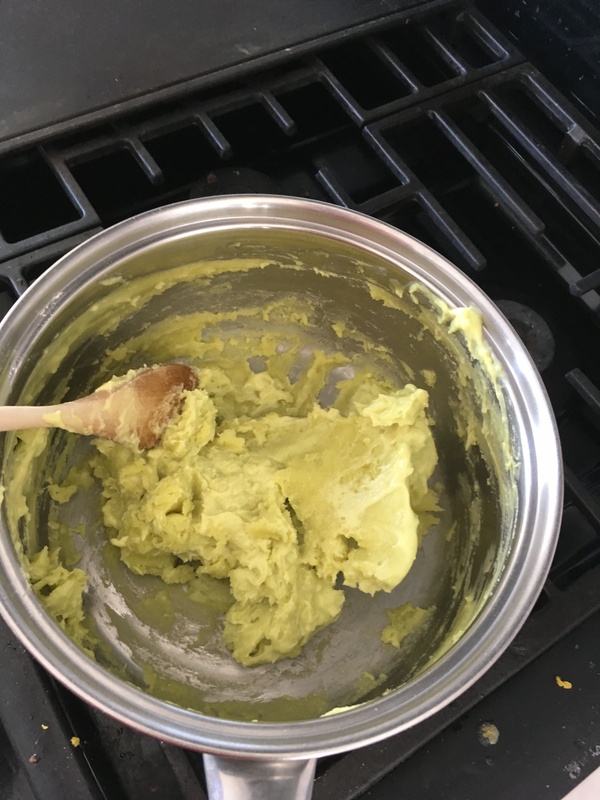 My friend shared a recipe with me a few years ago and it instantly became my favorite. I haven’t looked back since. 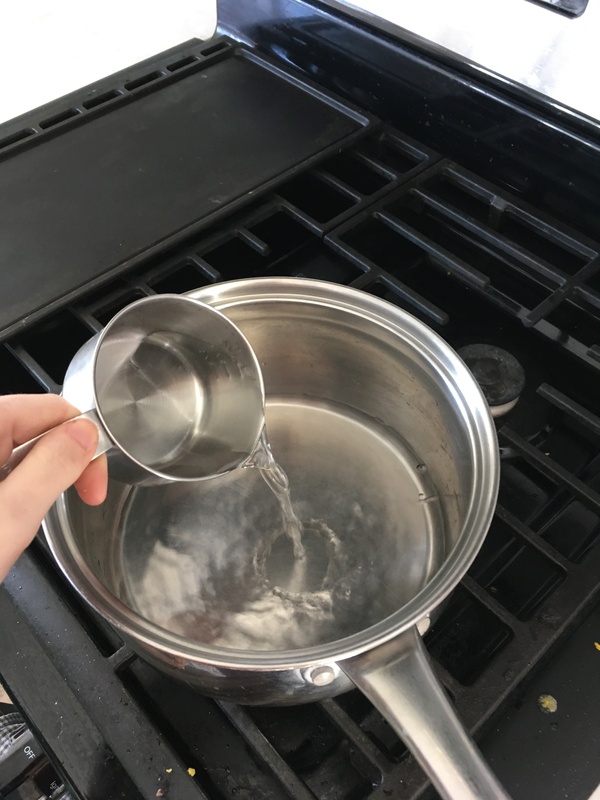 This recipe is so easy! You probably already have all of the ingredients on hand and will be able to whip it together in 15 minutes. Next, add 1 cup flour, 1/2 cup salt and 1 tsp cream of tartar. Stir this continually while heating. 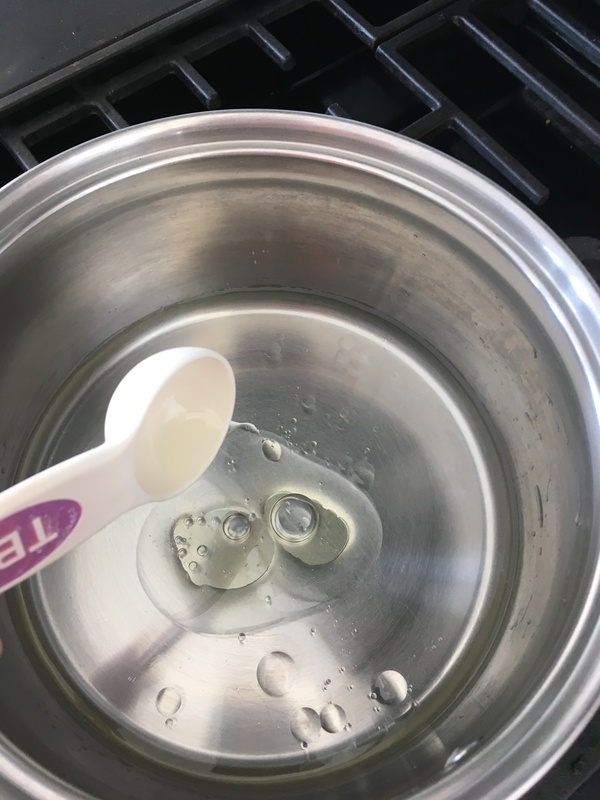 Keep stirring until the play dough begins to form a ball. It doesn’t look pretty right now, but I promise, it will! 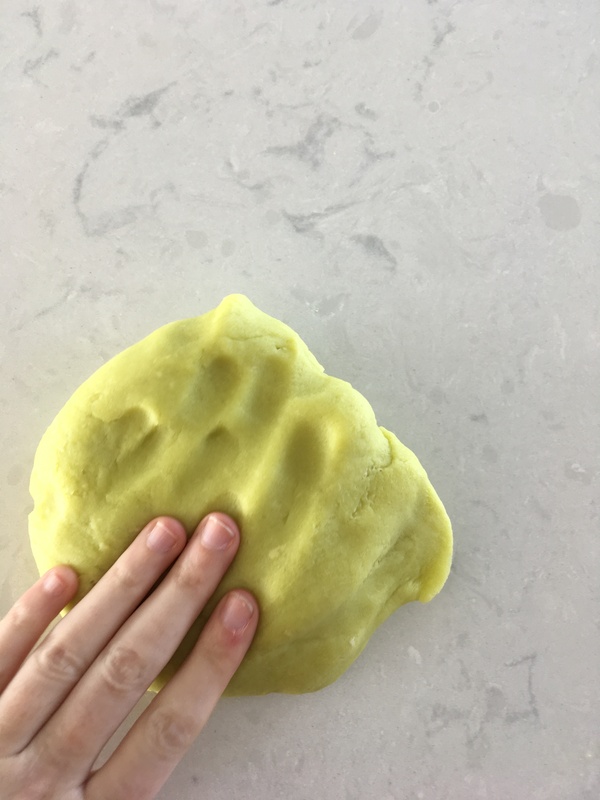 Take it out of the pan and begin kneading with your hands. It might be hot right at first, it cools down fairly fast. 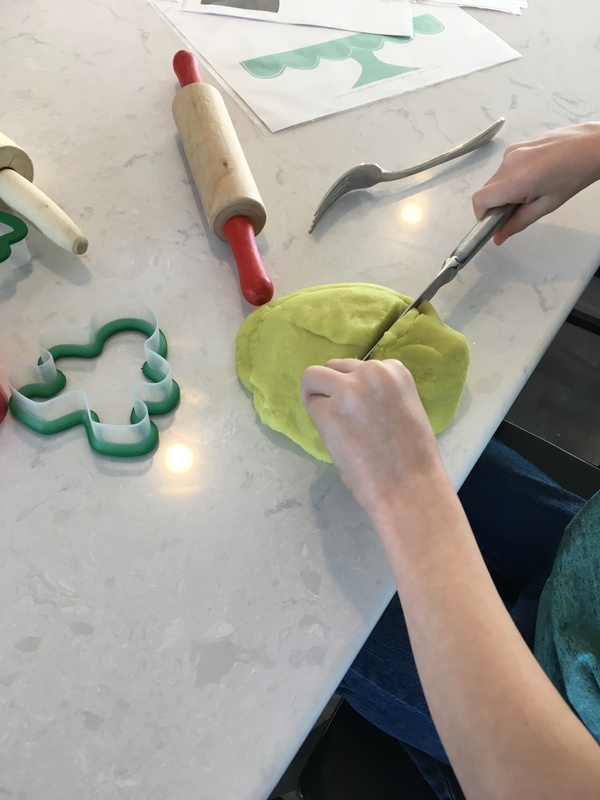 It only takes a few minutes of kneading until it is ready for your kids to cut into! All that’s left to do is pull out all your cookie cutters and silverware and enjoy a fun frugal afternoon playing with your sweet kids! I usually store this in my fridge for a few weeks and it keeps great! 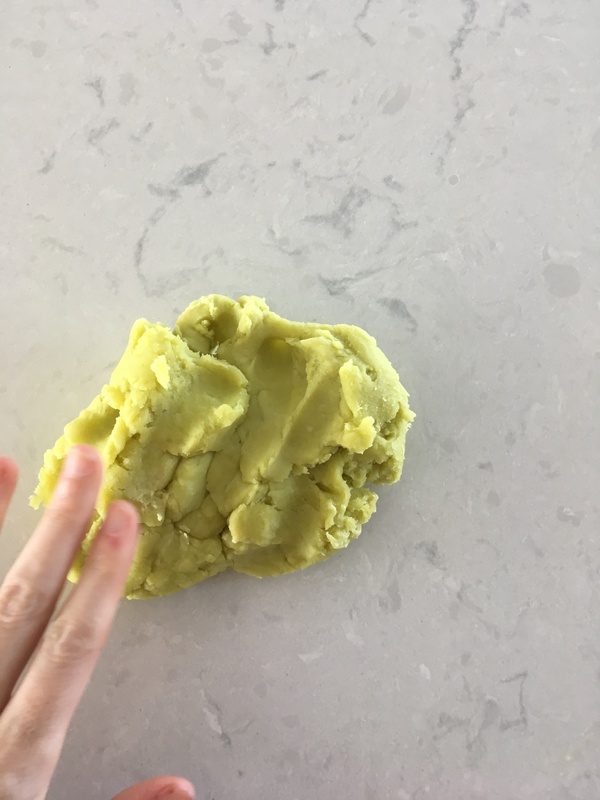 I tried to make play dough one time, it didn’t turn out great. Lol I’m going to try this one with my nephew and see how it goes. 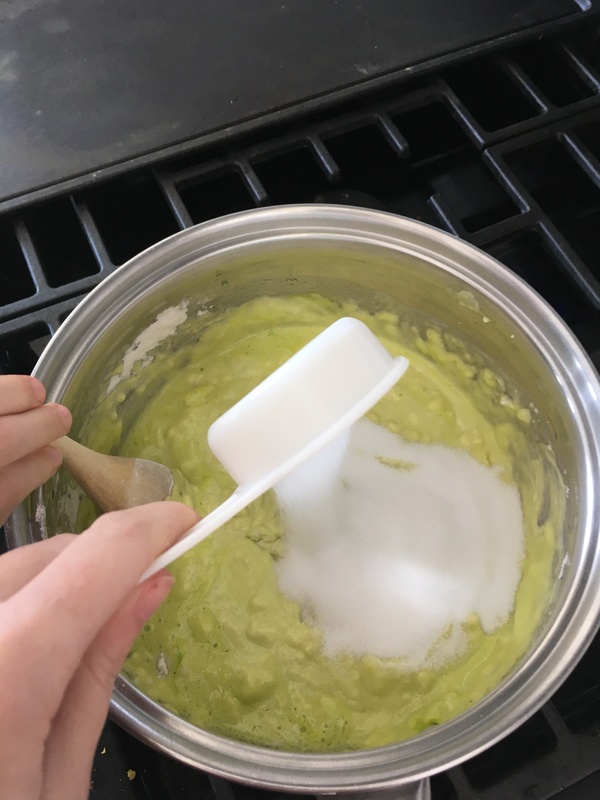 Thanks for the recipe, also do you think my one year old would be able to play with it to? She will probably try to eat it… ? I hope the recipe works for you! It had honestly been the most fool proof one I’ve tried! One year olds do like to eat everything! The cream of tartar makes the dough a little bitter which helps them not eat as much! I’ve had one year olds play with it when I sit with them and help them make shapes. It’s a pretty good fun for all ages activity. Well this looks I have a fun activity to do with my daughter. I have never liked making it cause I hate the feeling of the salt residue that gets left everywhere. Especially my hands. This brought back so many fond memories! 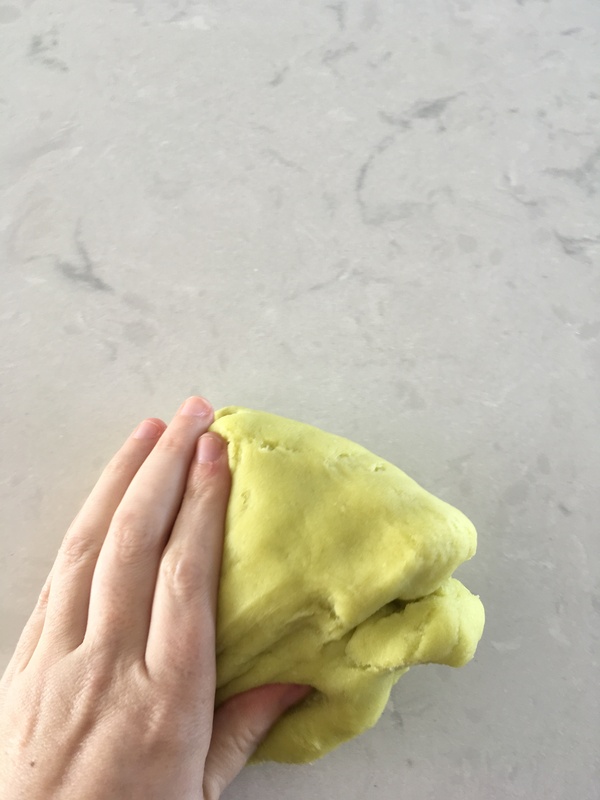 I used to make play dough with my mom when I was a kid. My mom still makes it with my daughter and niece and nephew. Thank you for sharing! 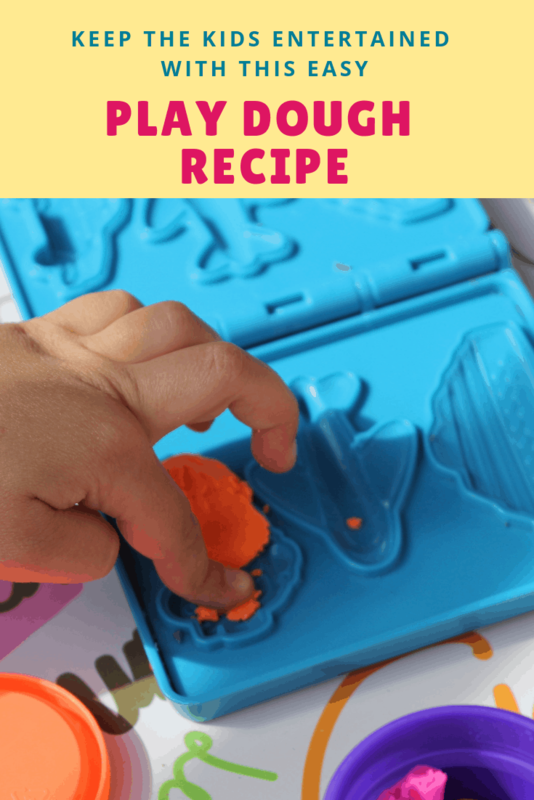 I’ve made play dough in the past but I’ve never found a recipe I really enjoyed. I can’t wait to do this with my kids! They love making things in the kitchen and so this will be a fun activity for us! 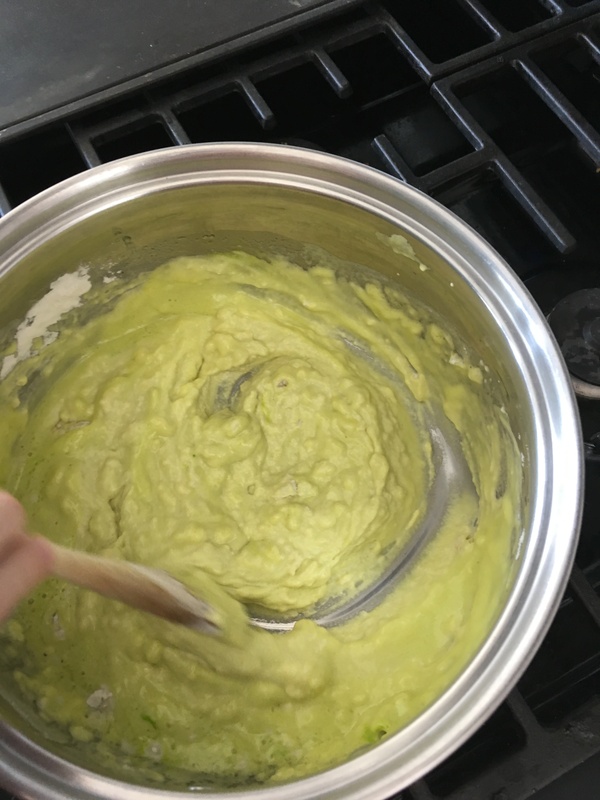 When I do it, I will post on my own blog and link to yours and this recipe if that’s okay! Please let me know! Yes feel free to link to my post. I hope the recipe works out for you! Love it! 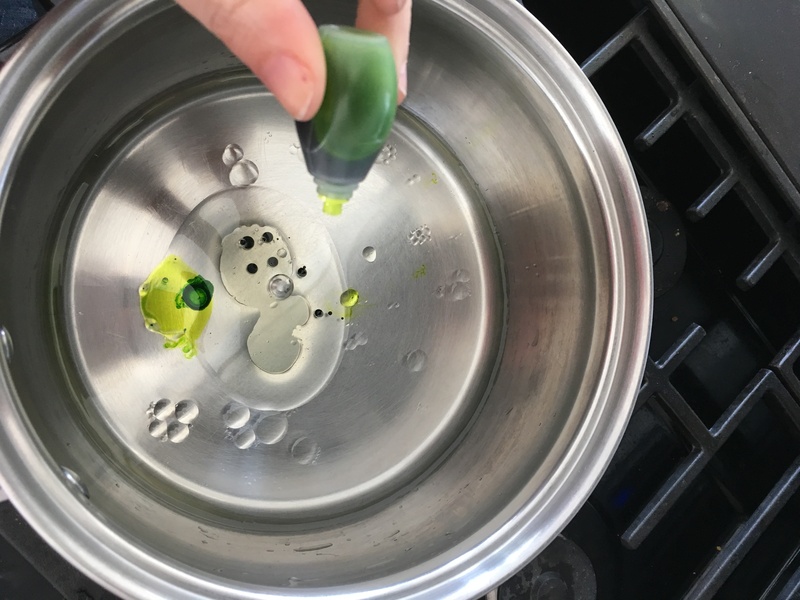 My 5th graders always love to cook in the classroom, this would be a fun, easy project! I love the idea of using it in the classroom! What a fun teacher!